Good morning, Happy May, Happy iNSD and all that good stuff. Its the first Saturday, which means it's Sketchy Saturday at Paper Issues! We're shaking things up this time around. 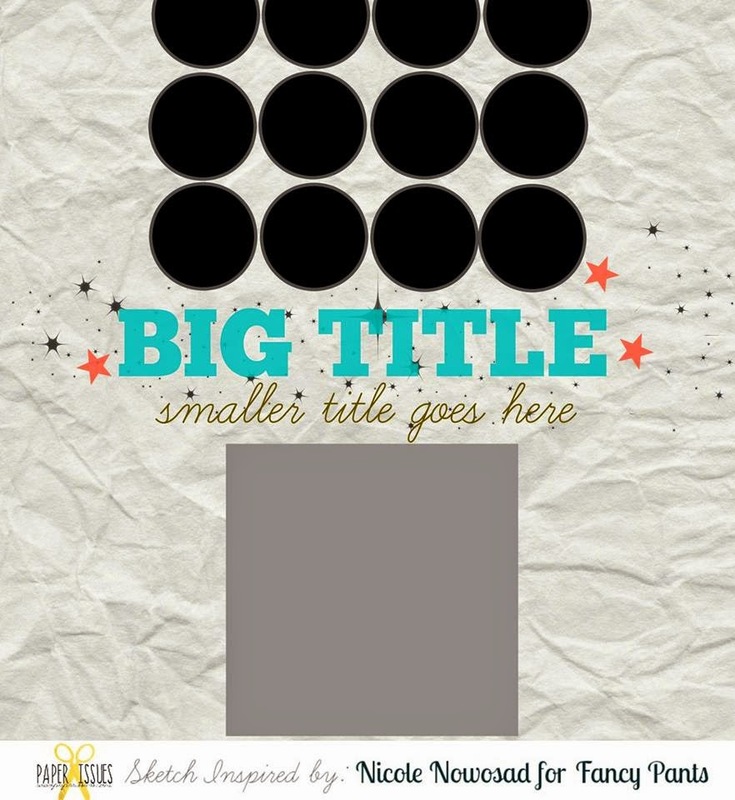 We found a fabulous LO by Nicole Nowosad on the Fancy Pants blog. Using her permission, we created this month's sketch. I knew right away how I would use the sketch, but took some time to put it together. I did some experimenting with speech bubbles, the Silhouette and vellum. And little bits. Lots of little bits. Let's see, there are so many bits. 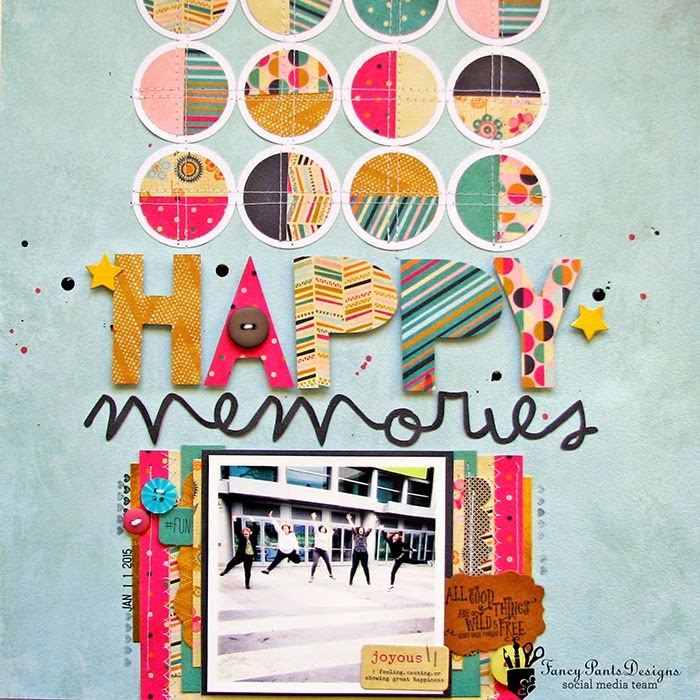 Crate Paper, Simple Stories, Bella Blvd, October Afternoon and of course, Snarky Stamps make the page quirky! It's pretty cool looking even if it has some of everything! My younger son is non-verbal. I often find myself feeling like I can see him thinking. Other times, I wish I knew what he was thinking. This photo and page are one of those times. I decorated the speech bubbles with things he may be thinking about. Or not. Maybe things he wishes he didn't have to think about. Or not. Who knows. But that's what the page is all about. 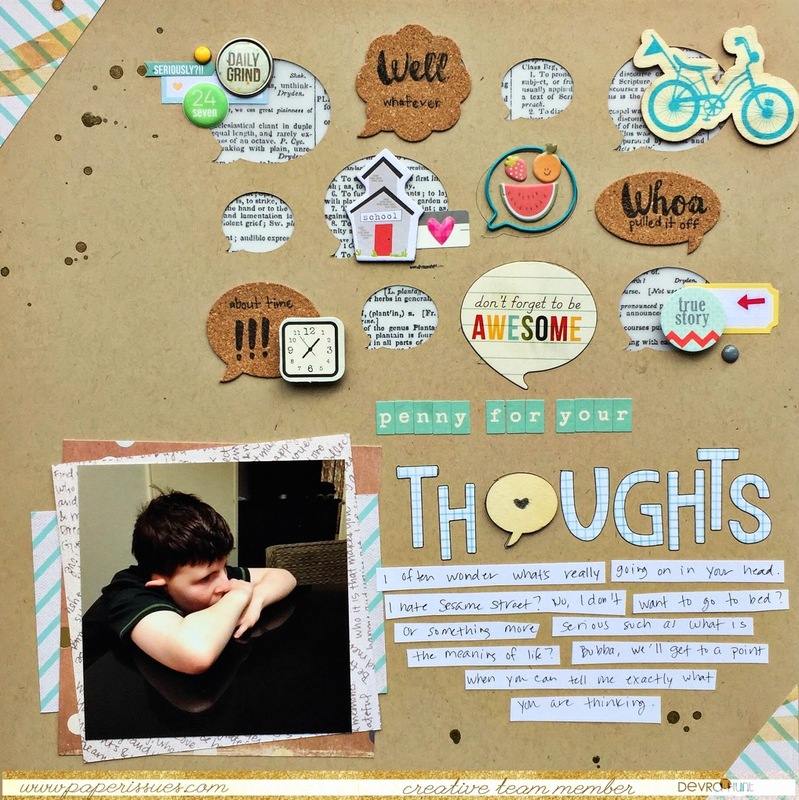 There is a ton of inspiration on the Paper Issues blog today. By linking your project, you have a chance to win a $10 Gift Card to the Paper Issues Store. Fantastic page, Devra! I have a hard time using speech bubbles, but you've certainly nailed it here. Is your cut file for sale?